Gold Peak Industries offers one of the most complete product lines of any major battery manufacturer. They provide the highest quality, best performing and most durable power solutions for custom battery applications. Working with the Butler Group and Gold Peak we can help you design and manufacture your own bespoke custom battery solutions. Rechargeable Batteries: Lithium Ion, Lithium Ion Polymer, Lithium Manganese, Nickel Metal Hydride, Nickel Cadium. 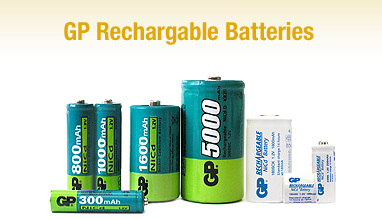 Consumer Products: Primary Speciality Batteries, Rechargeable Speciality Batteries, Chargers. For more information on how we can help you design bespoke battery solutions, please contact Aidan Butler on + 353 1 6292620.